I had been thinking about writing a short historic travel guide to Berlin during the Cold War for a while, but simply couldn’t get around to it due to moving to Hamburg and starting a new job. This guide is the first installment of a new series and is conceived as a resource for those travelers interested in the history of Berlin beyond the tourist traps at Checkpoint Charlie or the superficial museums that keep popping up around town. Unfortunately, the world of travel blogs offers does not offer that many informative resources on the history of Berlin during the Cold War. I’ve come across several blog posts with the same generic line of “you’ll fall in love with the city’s history,” but when reading further it became clear that the authors had very little to no idea of it. There’s a few good comprehensive guides out there but they are either print-only or available exclusively in German. I luckily love to nerd out on history. 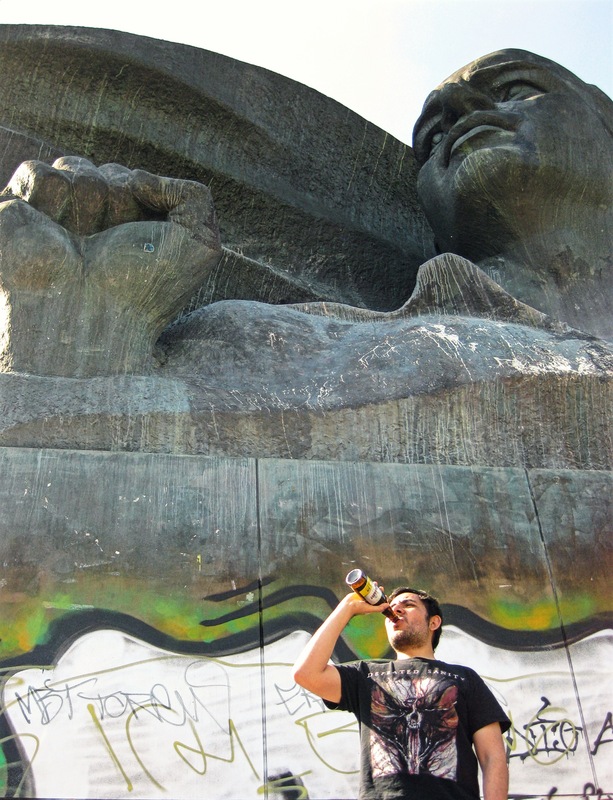 I hold a master’s degree in Eastern European History from the University of Heidelberg and moved to Berlin basically just to learn about the city’s history (and because of its excellent Metal scene, but that’s neither here nor there). Therefore, this article was really fun to write. 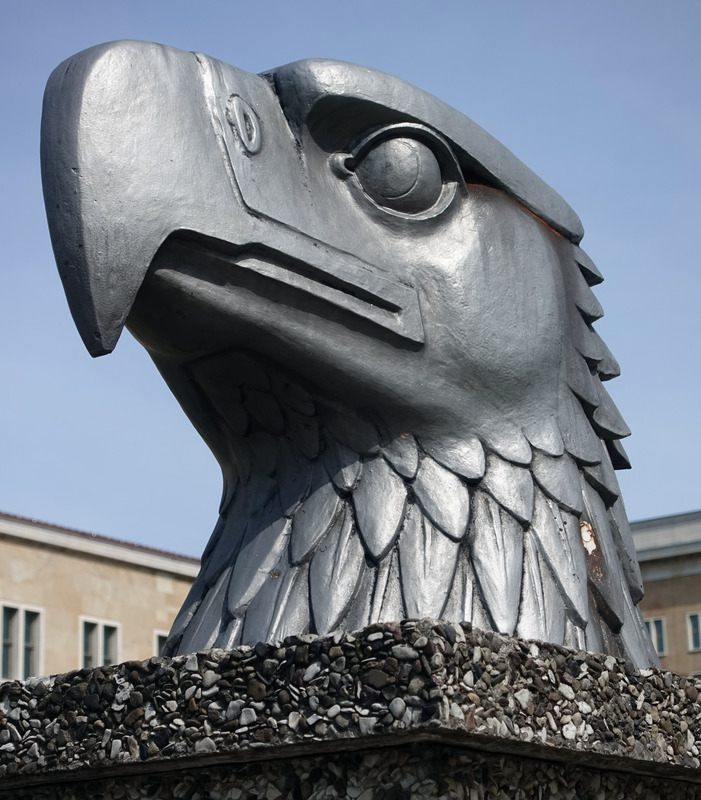 Berlin is a city with a unique historical experience due to being the frontline of the Cold War. Berlin was divided after World War II into four different zones of occupation. The three western sectors were eventually merged into West Berlin, which was de facto part of West Germany but had a different legal status as it was still administered by the Western Allies. While local residents were West German citizens, they were also exempted from doing their military service, which led to many of the more creative types to move to West Berlin; this in turn led to the development of a very rich music and arts scene in the city. West Berlin was a small Western enclave within the German Democratic Republic Republic (DDR) and was entirely surrounded by the infamous Berlin Wall. East Berlin, on the other hand, was the capital of the German Democratic Republic—known as East Germany or by its German acronym DDR (Deutsche Demokratische Republik). 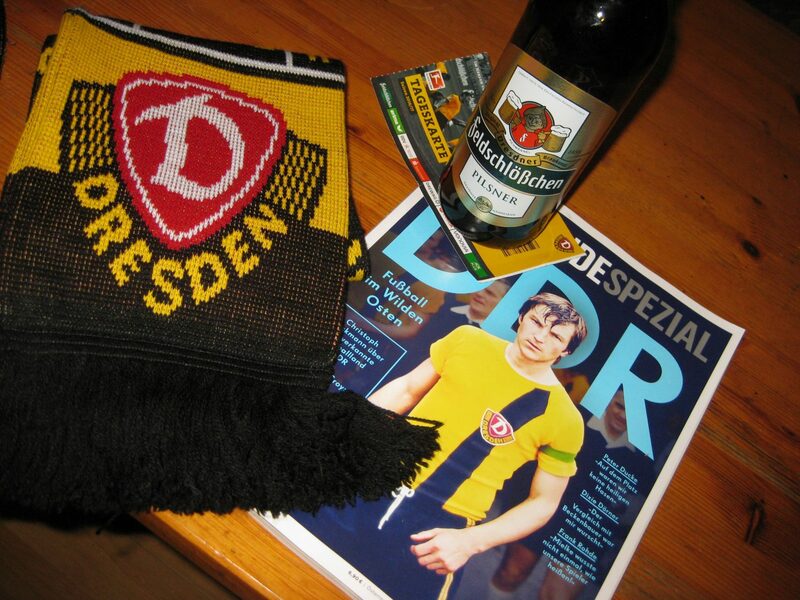 The DDR was founded on October 7, 1949 and was officially dissolved and integrated into the Federal Republic of Germany (formerly West Germany) on October 3, 1990. 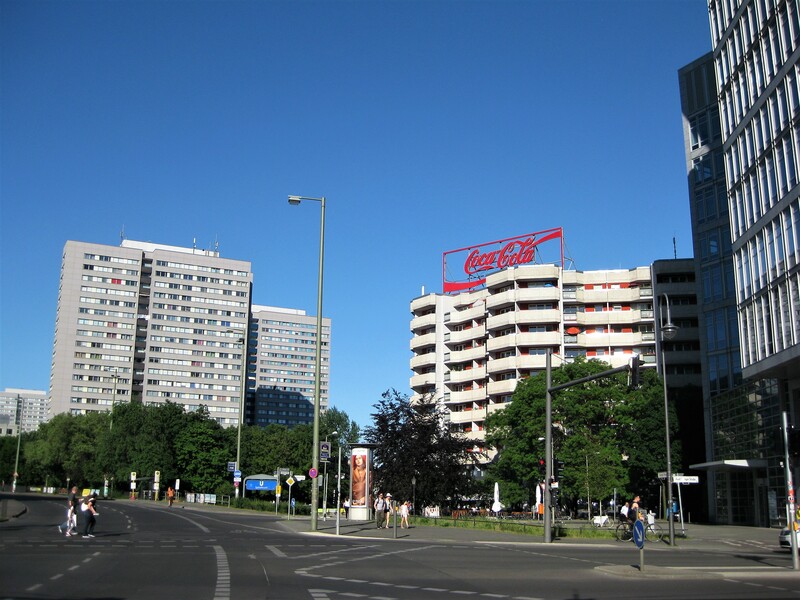 East and West Berlin developed in very different directions for over forty years, and this is still very visible in architecture and city planning of the German capital. The construction of the Berlin Wall began on August 13, 1961. The border had been officially closed since 1952, but it was still easy for East Germans to defect to the West, and they had been doing so in the hundreds of thousands up until that point. Why was the Wall in place? 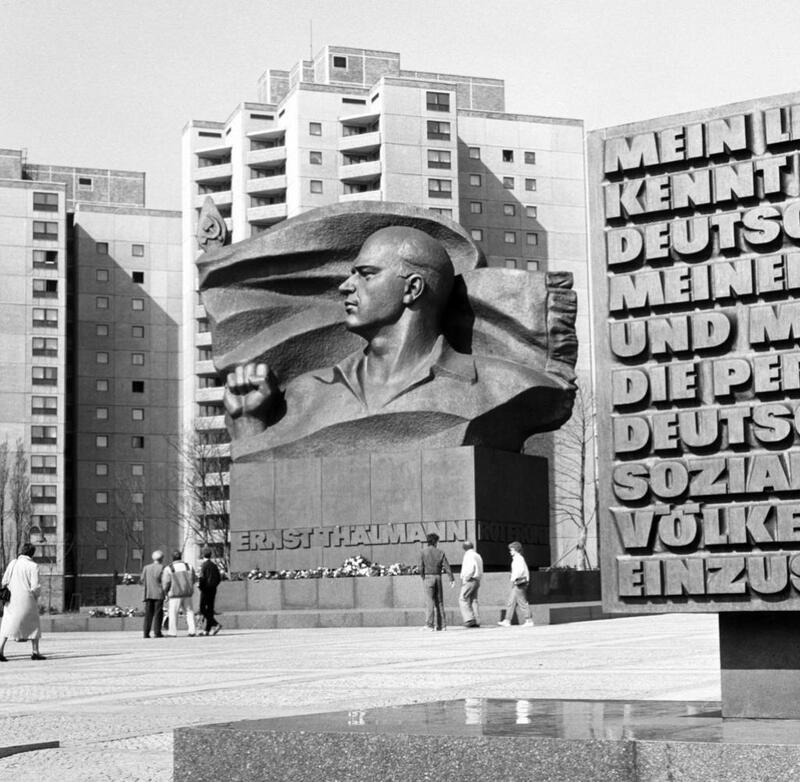 It was meant to keep citizens of the DDR from fleeing their Socialist paradise. 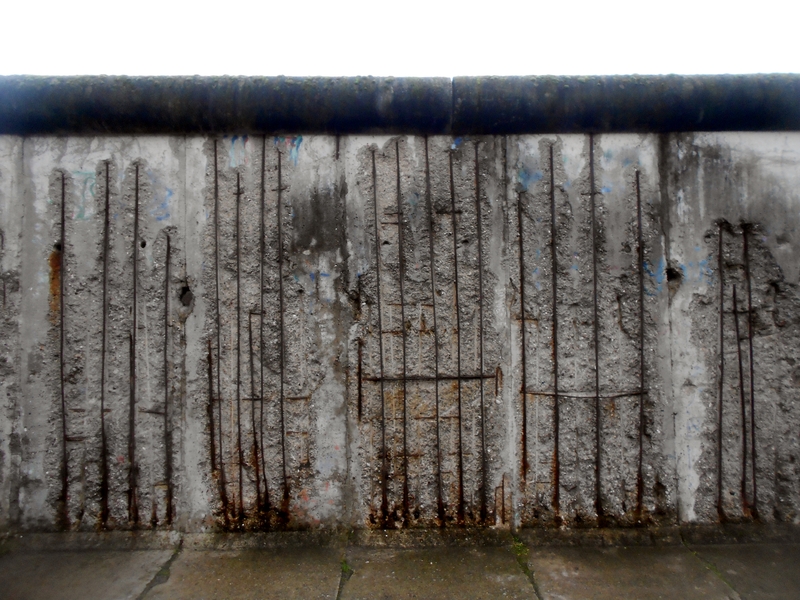 The East German government actually called the Wall the “Anti-Fascist Protection Rampart,” but that name didn’t actually reflect the purpose of the 3.6 meter tall bare concrete death trap that made it impossible for the citizens of the DDR to flee. West Germans, on the other hand, could enter East Berlin, as their visits were an easy way for the East German government to acquire hard currency. 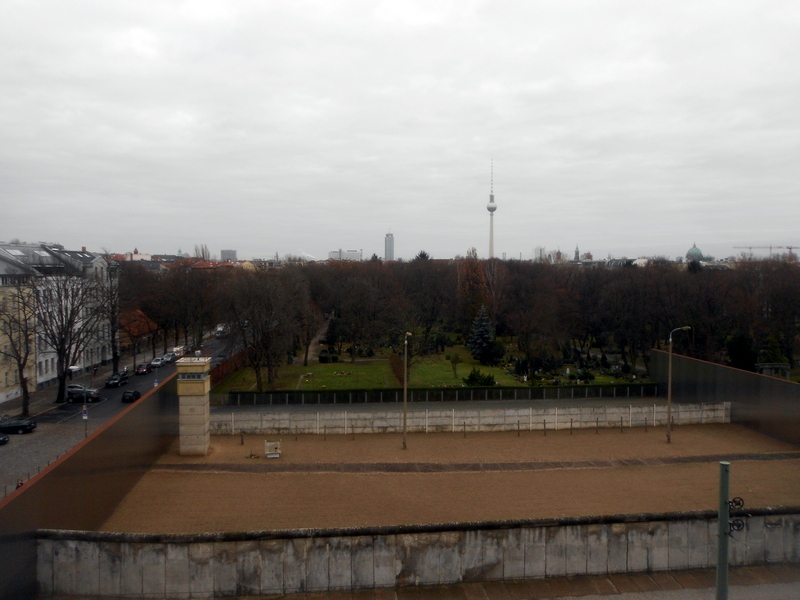 The best place to go if you want to get a good impression of the Wall is Bernauer Straße. The insider’s choice, Bernauer Straße is like an open air museum—there’s a huge chunk of the Wall, lots of information, and even a pretty good museum. The piece of the Wall there is of bare gray concrete, which gives you a better impression of the menacing tristesse that one must have felt when seeing it back then from either side. A guard tower completes the picture, which you won’t get at the East Side Gallery due to the tourists and scammers that make it basically impossible to enjoy the experience (though you should still swing by and take a look at it). 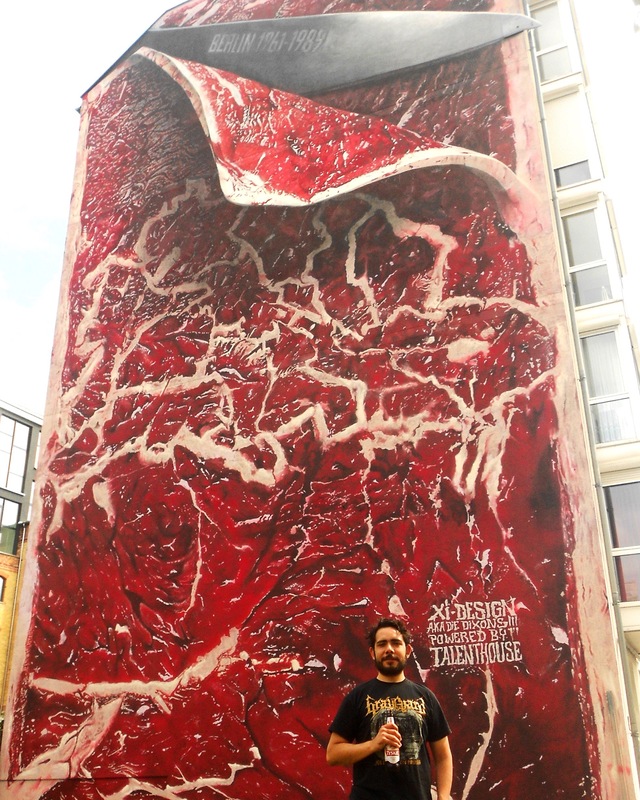 There’s some street art on Bernauer Straße as well! 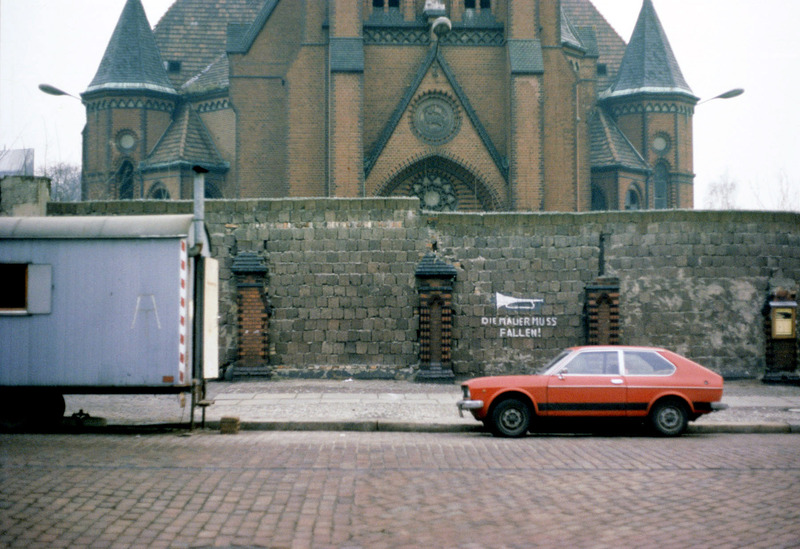 The Versöhnungskirche on Bernauer Straße was demolished in 1985. I’ve written extensively on the Soviet War Memorials of Berlin already so I’ll keep it brief here. The Soviets erected three monumental war memorials, the first in 1945 and the other two in 1949. The first one was built in Berlin-Tiergarten at breakneck speed even before the division of the city had been agreed upon. After the zones of occupation had been defined, the monument found itself standing guard in the British zone of occupation. 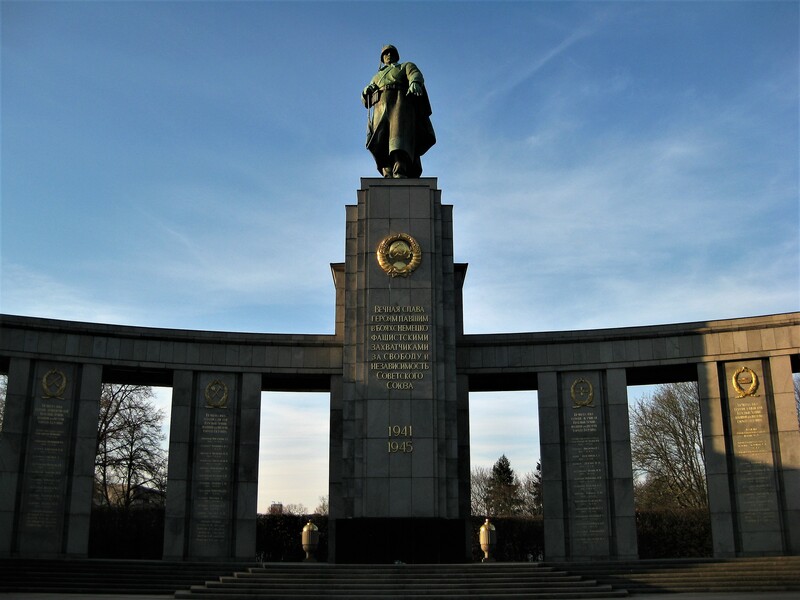 The other two monuments are in Berlin-Treptow and Berlin-Pankow—the former is the largest Soviet War Memorial outside of the former Soviet Union, and the latter the largest Russian cemetery outside Russia. Quick note: Should you visit any of these monuments, you might get confused by the fact that they commemorate the dead from 1941 to 1945 instead of from 1939 to 1945. In Russian (and Soviet) historiography, the war between Nazi Germany and the Soviet Union is seen as a separate event that played out within World War Two. For the Soviets/Russians, the conflict started on June 22, 1941 with the German invasion and ended on May 9, 1945 and is known as Great Patriotic War. I actually rather dislike Alex, but it’s still worth paying it a little visit to see what the city center of a Socialist capital looked like. You’ll be surrounded by Communist-style buildings. My favorites are the Haus des Lehrers and the Haus des Reisens because of their quintessentially Communist decoration. The Haus des Lehrers is decorated with a mural by Walter Womacka, who also designed the stained glass windows of the Staatsratsgebäude. 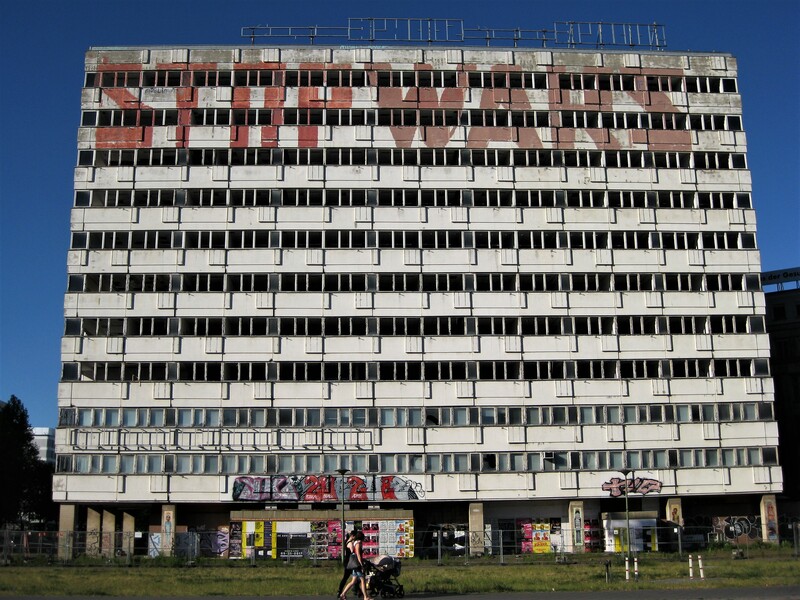 Walk toward Mollstraße you’ll see the Haus der Statistik and a few other run-down or abandoned Communist buildings. And guess what! 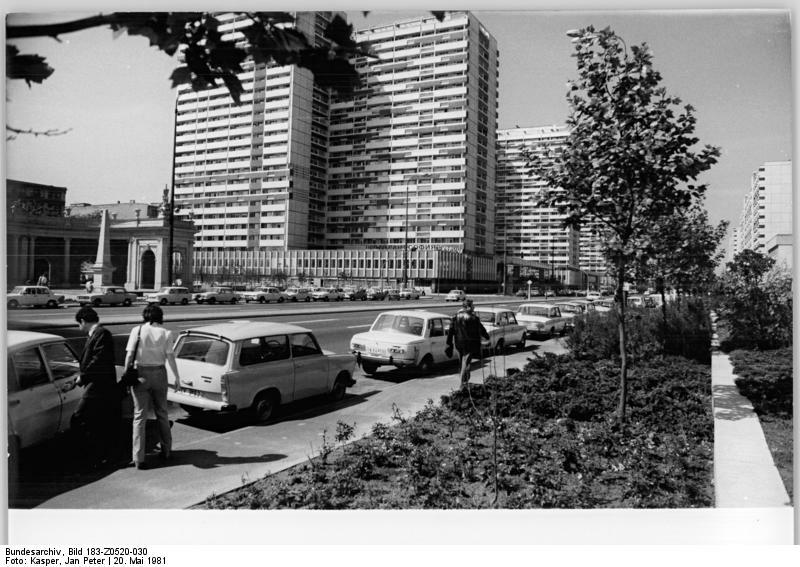 That’s also the beginning of one of the most Communist boulevards there are, namely the Karl-Marx-Allee. 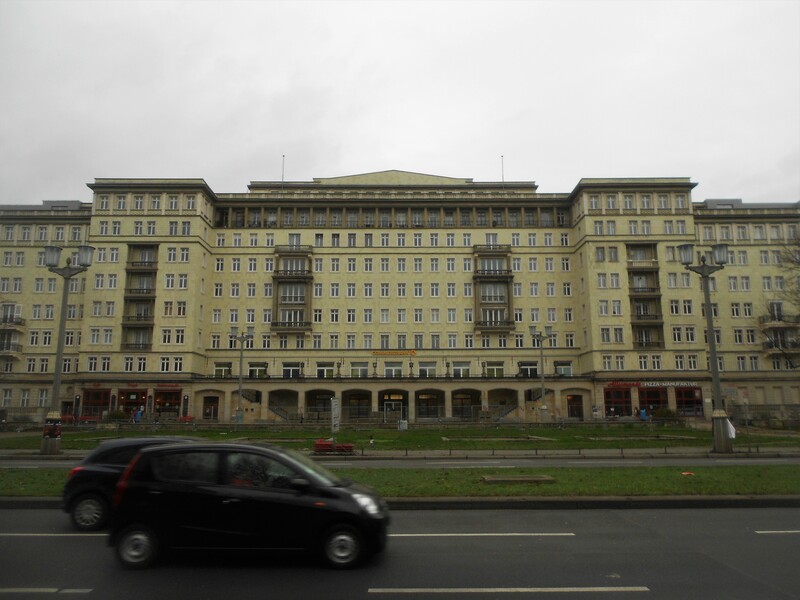 The Karl-Marx-Allee (formerly Stalin-Allee) is one of my favorite streets in Berlin. It is unnecessarily broad and lavish and does exactly what totalitarian architecture is designed to do: Make you feel small. 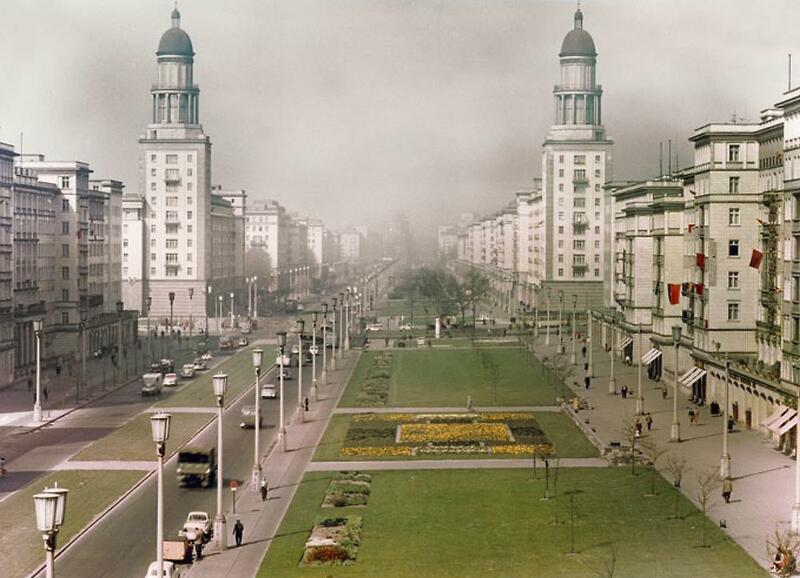 The boulevard was completed in the 1950s, and was called Stalin Boulevard until the destalinization policies of Nikita Khrushchev were put into effect for the whole Eastern Bloc. The boulevard is home to some brutalist jewels, such as the International Cinema. 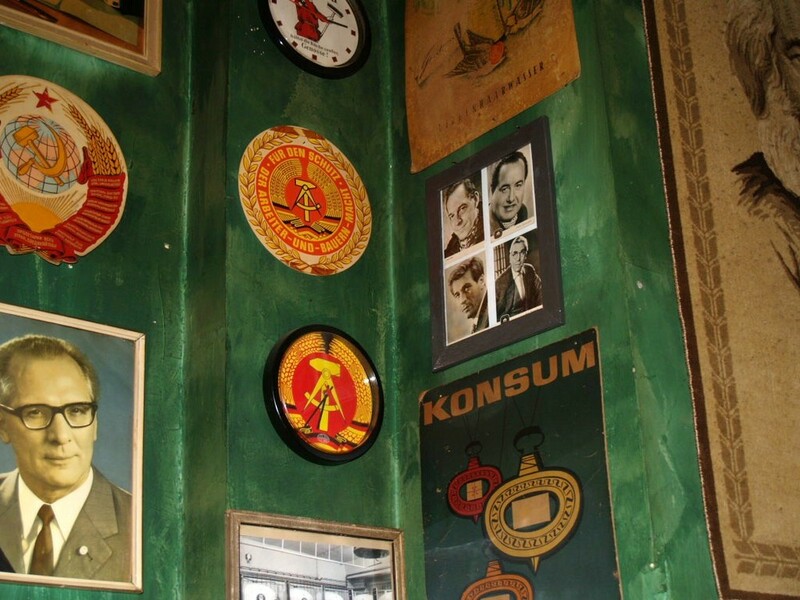 There’s some Communist chic there too, for example the Cafe Moskva. 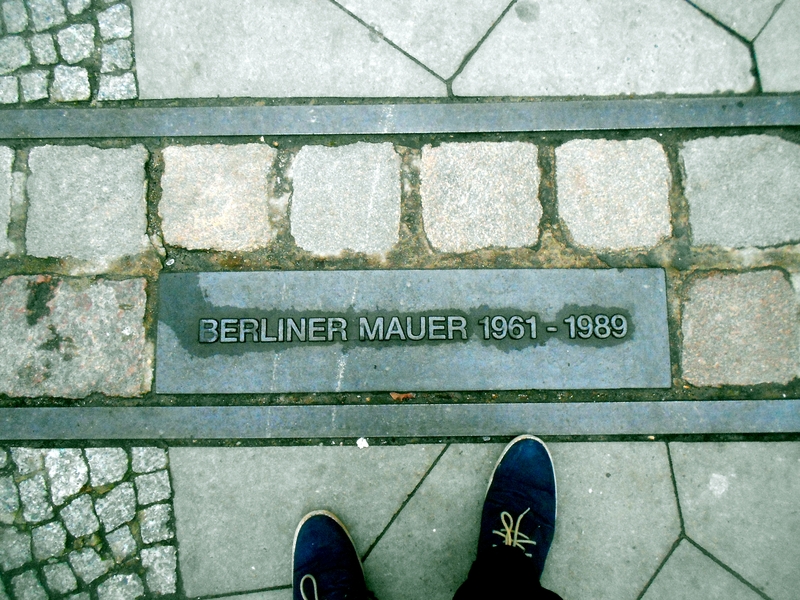 This street is also important because it was the main site of the Berlin Uprising. Following Stalin’s death on May 3, 1953 (Fünf-Drei, Fünf-Drei, Stalin ist vorbei! 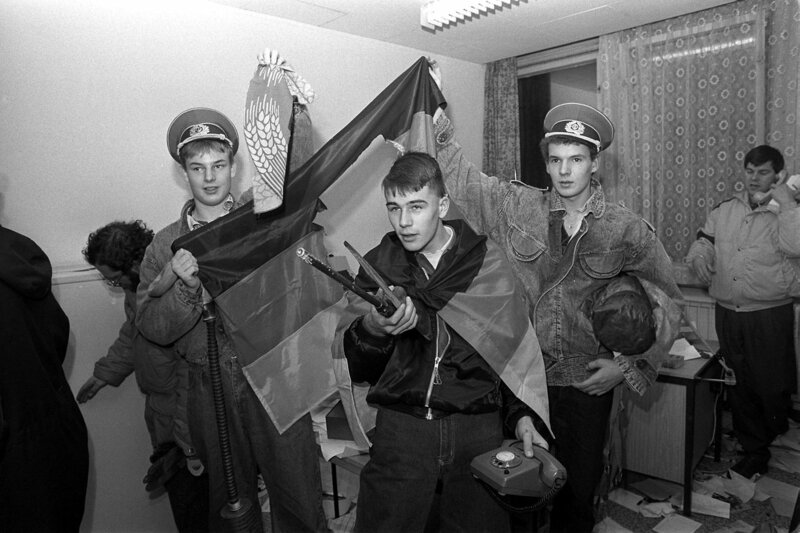 ), the frustration of East Germans with their government erupted into violence. On June 16, 1953, a strike turned into an uprising, which was in full swing the following day. In order to set a precedent and make it clear that the Soviet government would not loosen its stranglehold on the country, Moscow sent its tanks into Berlin to crush the uprising. Fun Fact: East Berliners called the boulevard Stalin’s bathroom due to the tiled facades (they did literally go overkill with the tiles, though). The problem with Berlin is that it is very touristy, and with tourists come tourist traps—many in the form of museums. However, there’s a few others that truly offer a unique experience. 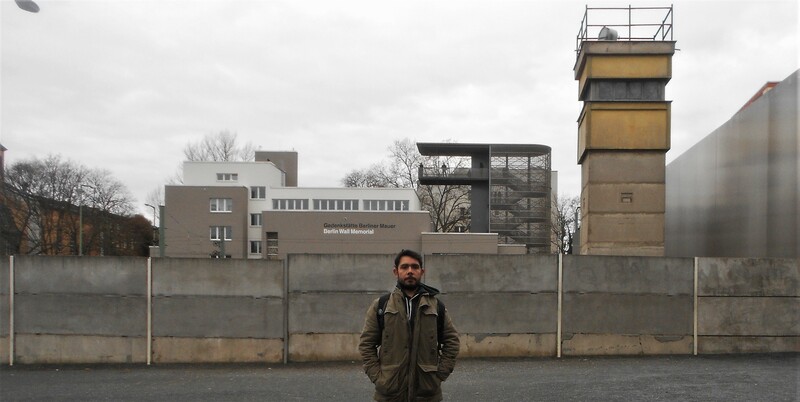 One of these museums is the Stasi Museum. Housed in the actual headquarters of the Stasi, this museum has a lot of artifacts that will give you a good idea of the lengths the state went to keep their citizens in line: recruiting life partners to inform on their significant others, fool men and women into marrying agents, and keeping tabs on every single move by those the state didn’t trust. Seeing the building alone is worth the entry price, which is at 6 Euros by all accounts more than reasonable. Take some time afterward to walk around the area. That part of Berlin is called Lichtenberg and is full of Communist apartment blocks. It is also home to a very large Vietnamese community, and chances are that you’ll stumble upon an excellent restaurant offering delicious pho. Deep in Hohenschönhausen is the former Stasi prison. I went once and that was enough for me. It is amazing (in a very dismal way) to hear about the techniques that the German secret police developed to break individuals—especially when hearing it from the people who were locked up there themselves. Everything about that prison is suffocating. 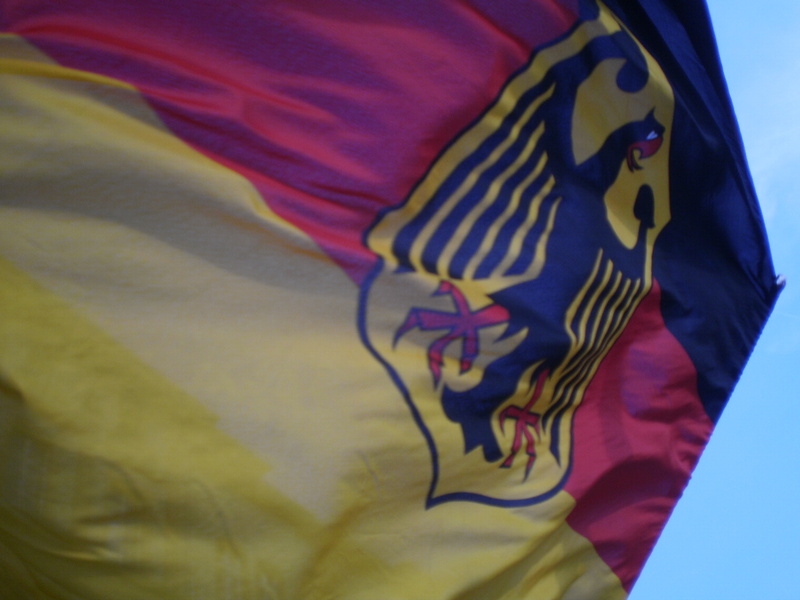 However, it is a place that definitely deserves a visit if you want to learn about life in the former East Germany. I know I’m not making it sound particularly attractive but hey, it’s a prison and prisons are not fun. 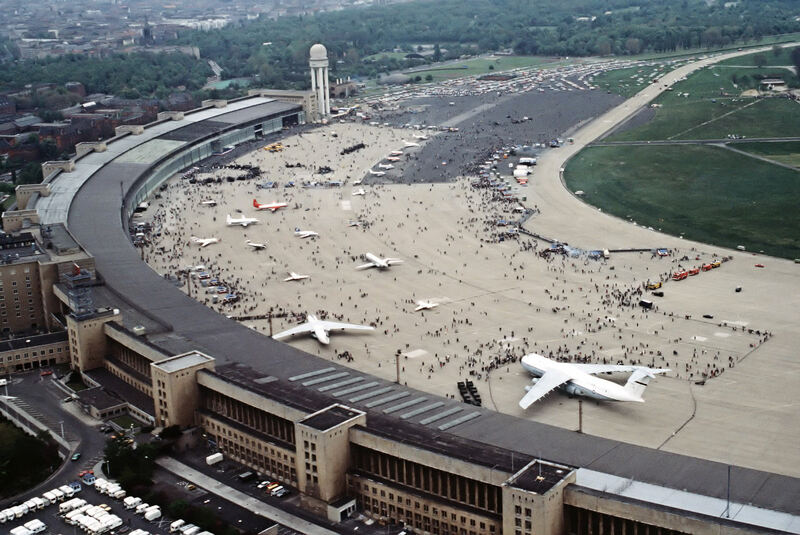 While the Tempelhof Airport was obviously not built during the Cold War, it played a huge role in Post-War German history. 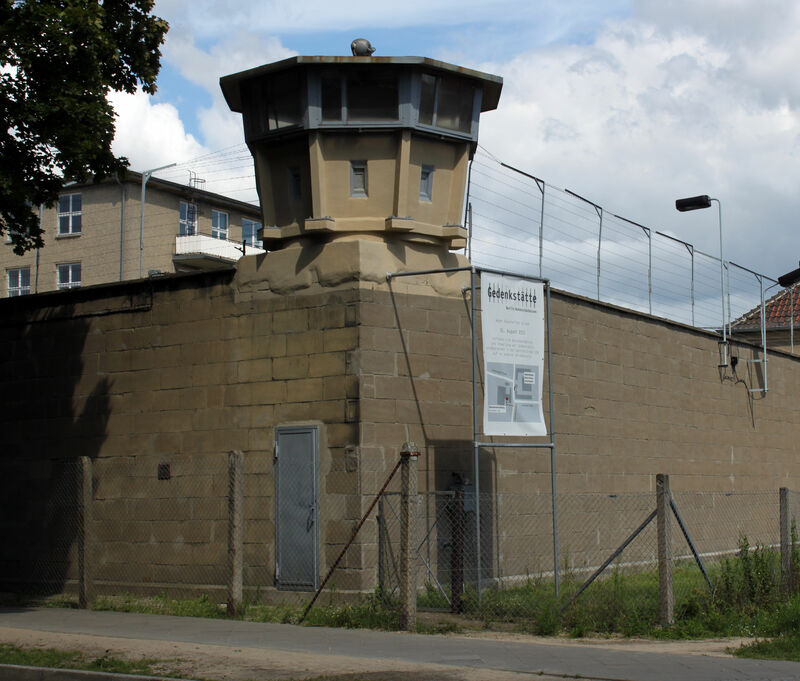 The Tempelhof Airport had been operating since the late 1920s but was completely remodeled by the Nazis. Work on the new terminals started in the years immediately before the war. 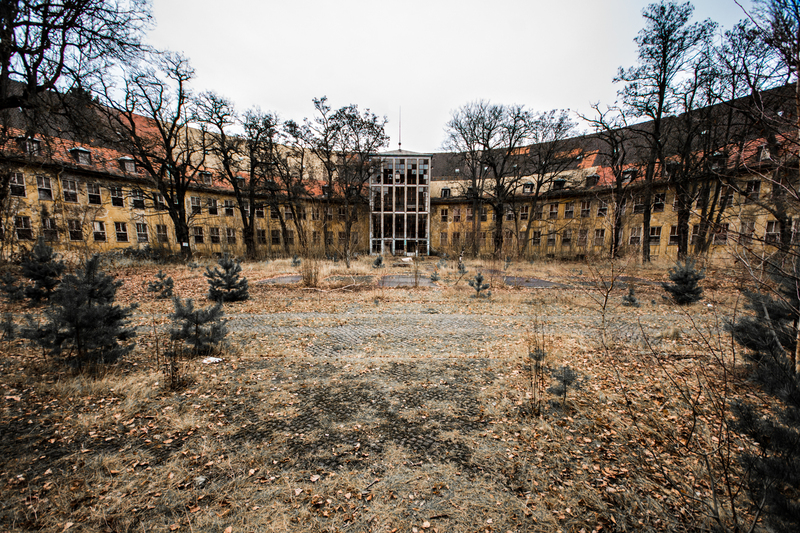 Tempelhof is a quintessential example of Nazi architecture. The airport survived the war largely undamaged and became an American airbase during the Cold War. Tempelhof ceased operating in 2008. The soldiers have likewise left. 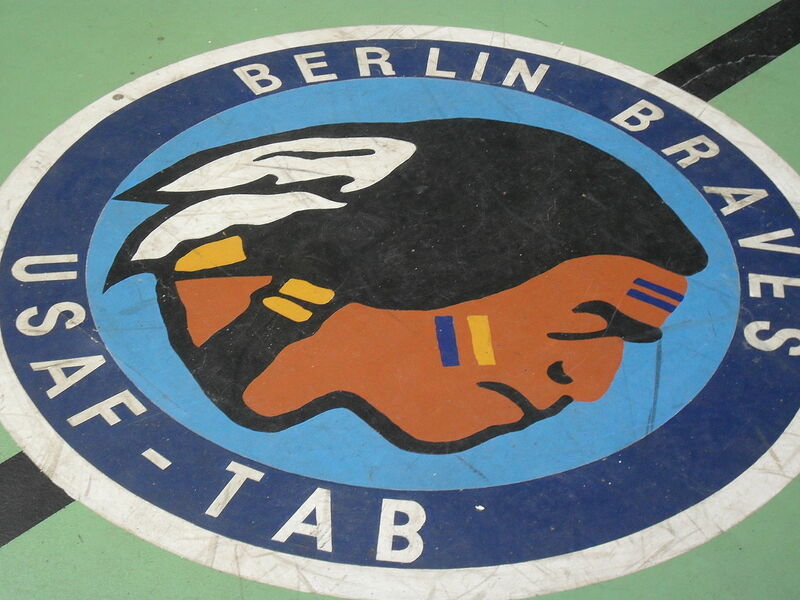 However, you can still visit their quarters and get an impression of what life was like inside—there’s even a basketball court where the Berlin Braves played their home matches. 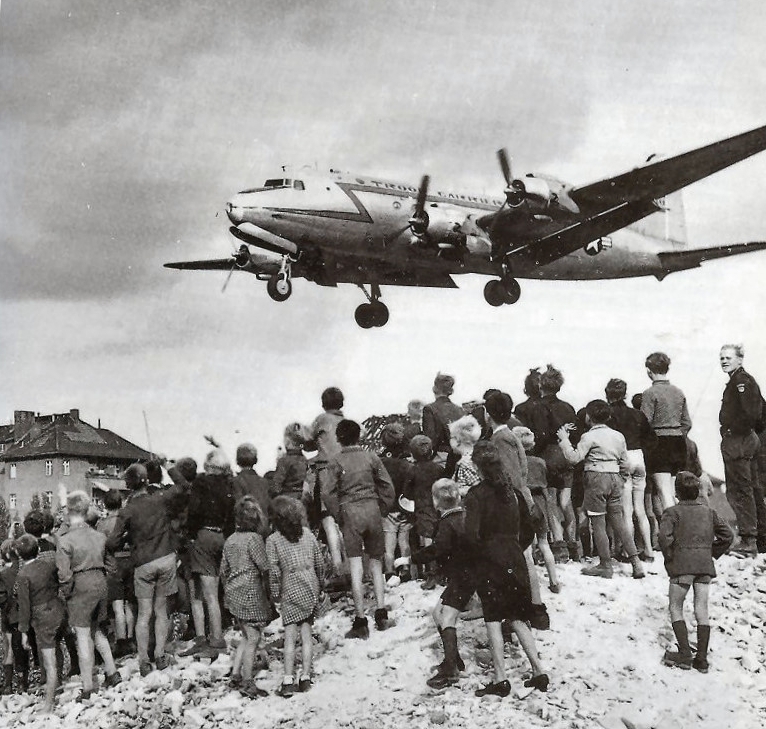 However, the airport played a bigger role in one of the most dramatic episodes of the Cold War: The Berlin Airlift. 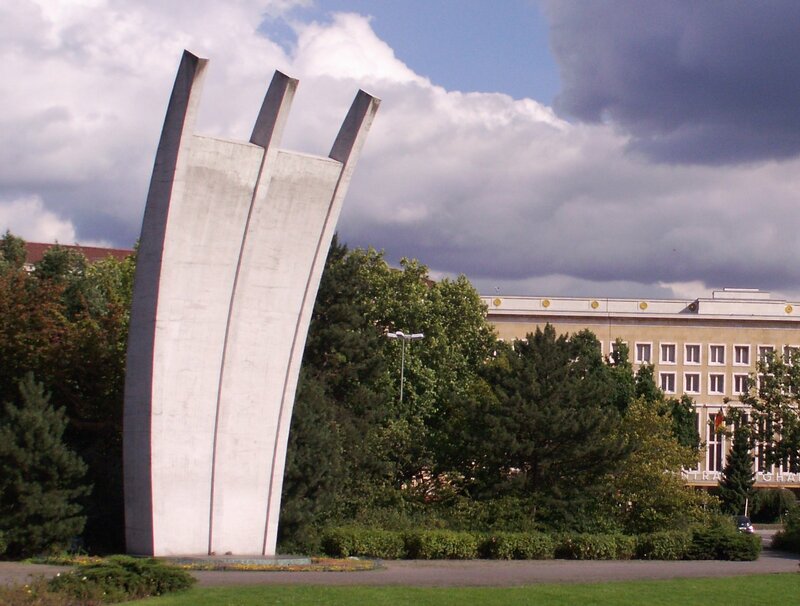 Situated right outside the Tempelhof Airport, this monument commemorates the Berlin Airlift, one of the most dramatic episodes of the Cold War. As you know, West Berlin was a little Western island smack in the middle of the Soviet zone of occupation and later East Germany. In 1948, following conflicts regarding the free transit of goods and people between the Soviet and Western zones of occupation, the Soviet government decided to cut off all access to West Berlin. Berlin was still in ruins at that point and depended heavily on supplies from the surrounding areas. When the Soviets announced the Berlin blockade, the food available was only enough to support the city’s millions (which included several thousand allied soldiers) for a little over a month. What followed was an incredible feat. The only road into West Berlin that was not closed off by the blockade was up in the sky, and the Western Allies started supplying West Berlin by air. This, in German, is known as the “Air Bridge” (Luftbrücke). This operation saw the same fleets of American and British planes, which had mercilessly bombarded German cities just a few years before, fly over the skies of Berlin again. However, the planes didn’t bring death but food, coal, and all kinds of supplies for the people of the West Berlin. At the height of the blockade, allied planes landed in the Tempelhof airport in West Berlin day and night—as many as one every minute. The Berlin Air Lift lasted from June 24, 1948, to May 5, 1949. All in all, 277,569 American and British planes brought supplies to Berlin during that time. Achieving that at that time required surgical precision, and the operation was an incredible success—especially taking into account that, for that number of flights, there were very few accidents. 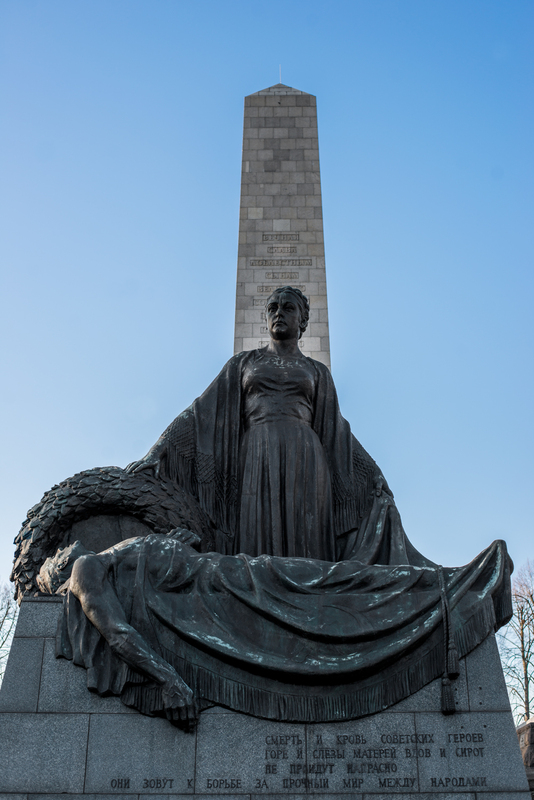 The monument, designed by Edward Ludwig and dedicated in 1951, commemorates this dramatic episode of German history. 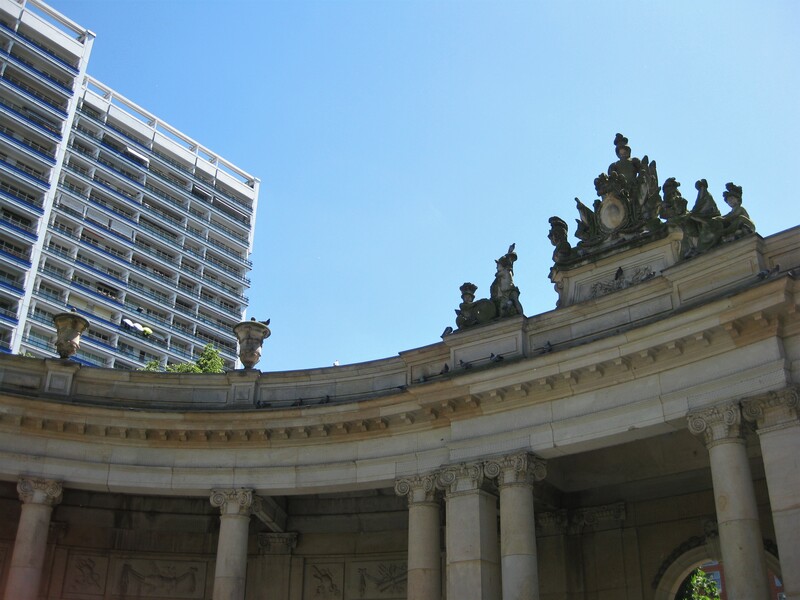 Fun fact: The same monument can be found at the airports of Frankfurt am Main and Celle, for these two were the main airports used to bring supplies to West Berlin. This is where thousands and thousands of East Germans bid their relatives farewell. 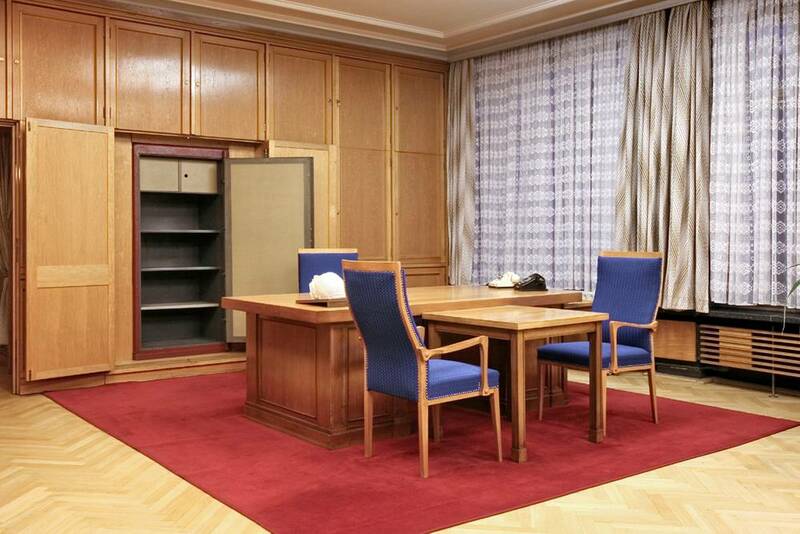 While East Germans were not allowed to leave the DDR, West Germans were allowed to enter. The border checkpoint at the train station at Friedrichstrasse became a place associated with the words “Auf Wiedersehen,” and was known colloquially known as the Palace of Tears (Tränenpalast). Today, the building houses a state museum with lots of information on what it was like to live in East Germany. Ernst Thälmann led the Communist Party of Germany (KPD/Kommunistische Partei Deutschlands) for the most part of the interwar period. In 1933, immediately after the Nazis had ascended to power, Thälmann was arrested by the Gestapo and held in solitary confinement until his execution in 1944. You can see a giant bust of him on the park that bears his name. 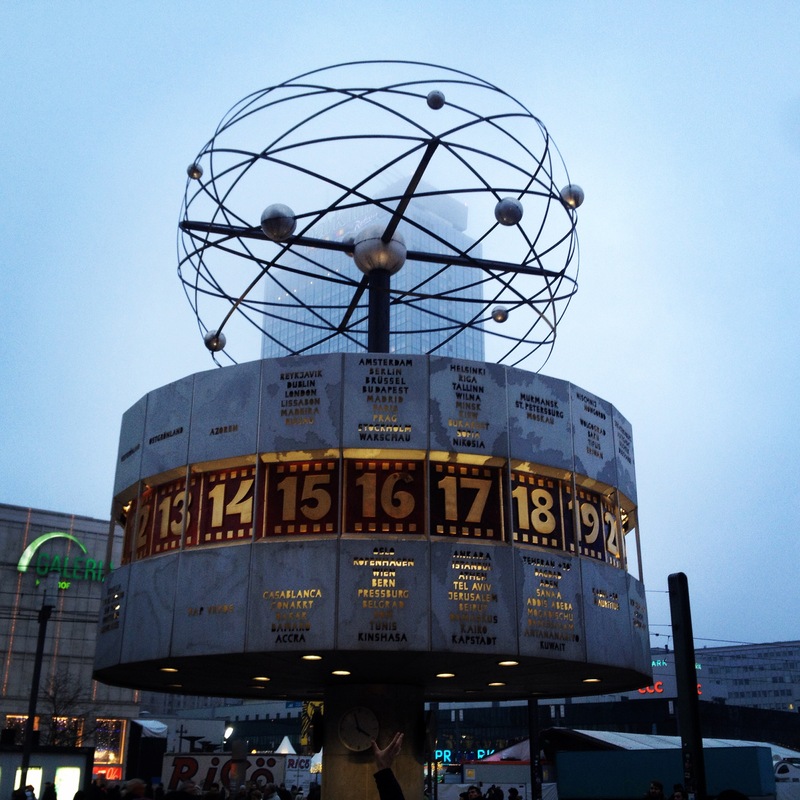 Getting there is easy: Just take tram #5 from Alexanderplatz and get off at Greifswalder Straße/Danziger Straße or ride your bike all the way up Greifswalder Strasse until you see the monument. Just behind Alexanderplatz is Leipziger Straße, both a major artery of the city and a textbook example for Socialist city planning. With its eight lanes and towering Communist apartment blocks, Leipziger Straße really is a throwback to a different time. However, you’ll still see the odd Prussian building there. 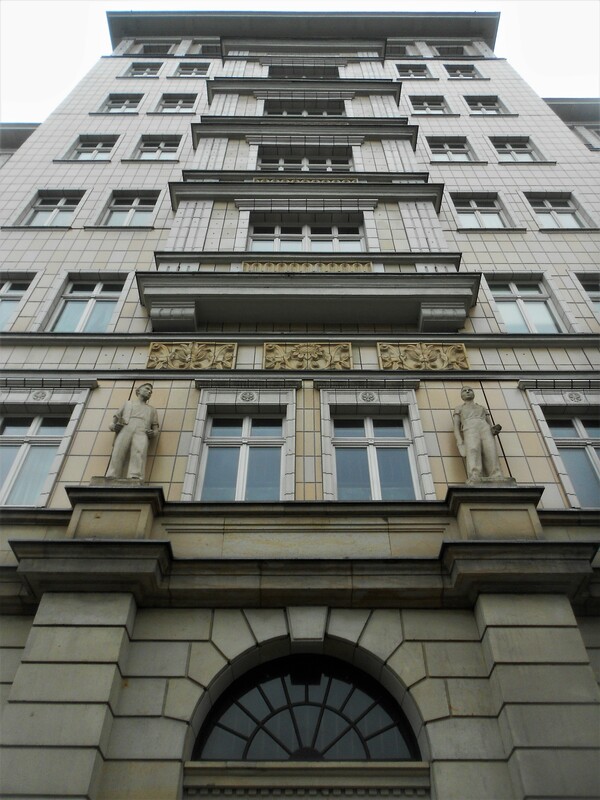 However one of the main sites on the Leipziger Straße is the The Detlev-Rohwedder-Haus. Ok, so this building was not originally built by the Communists but by the Nazis. 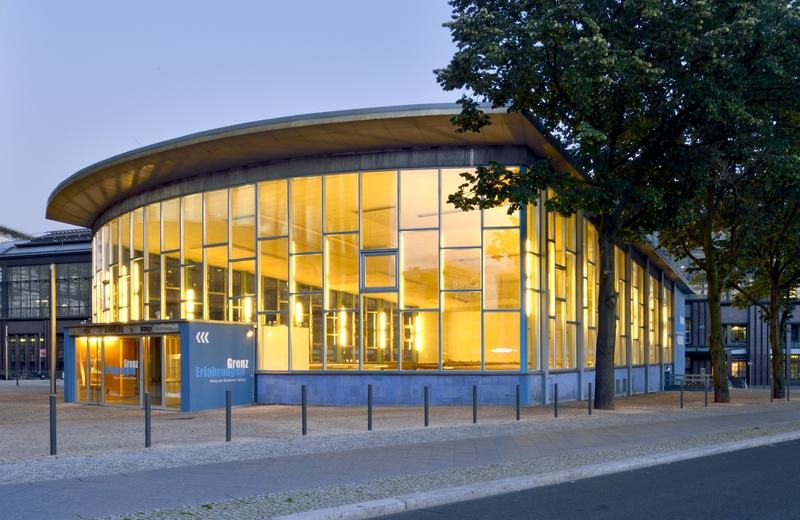 It was, in fact, conceived by the same architect who designed Tempelhof airport. 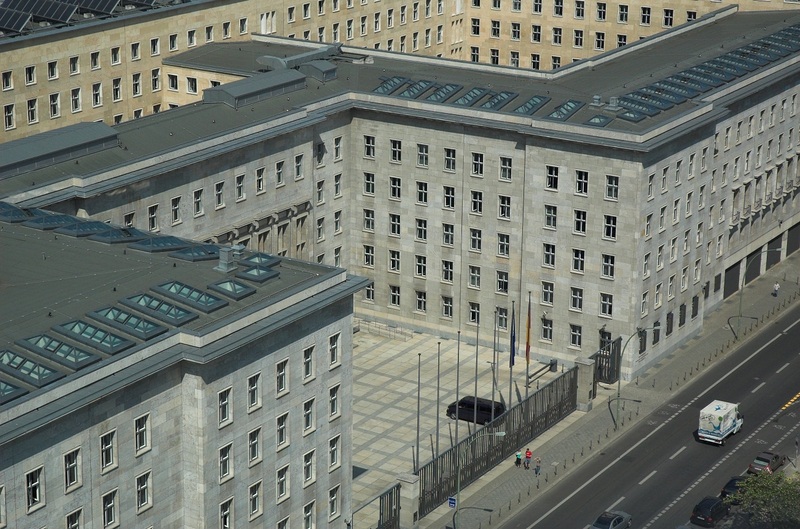 The building was originally built to house Hermann Göring’s Ministry of Aviation. 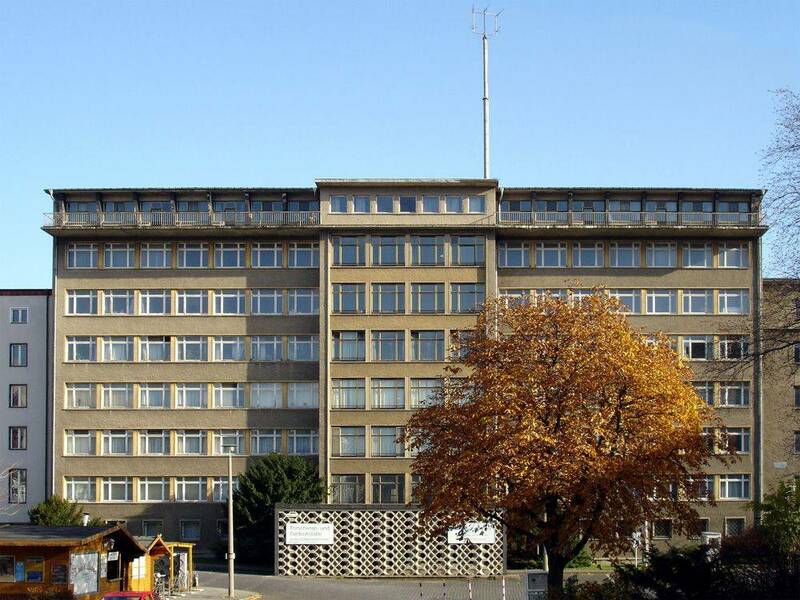 However, just like the Tempelhof airport, the Detlev-Rohwedder-Haus became an important building during the Cold War. Following World War Two, this building was used by both the Soviet Military Administration as well as the East German Government. 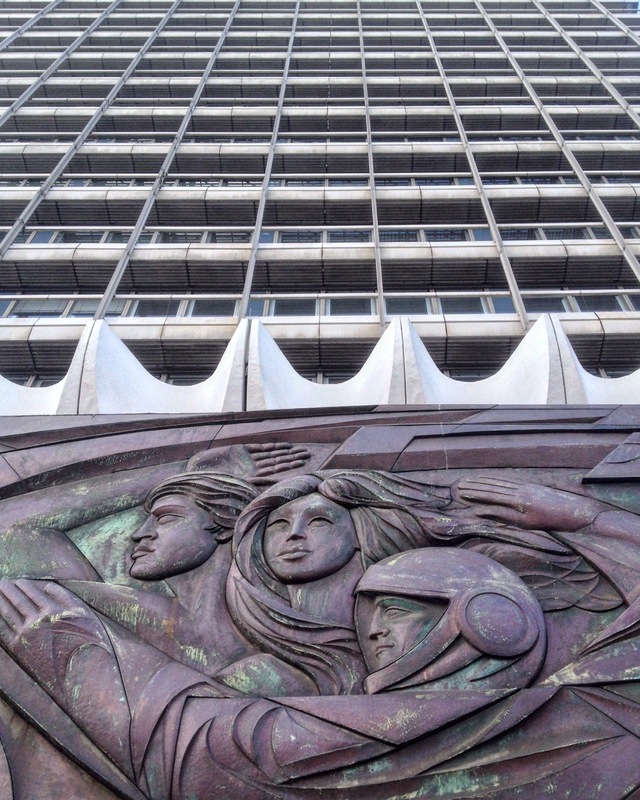 Parts of it were redesigned in the Socialist Classicism style of the Stalin years, and its exterior was decorated with a mural by Max Lingner. The mural is very fancy and was put together using Meissen tiles, a particular kind of porcelain from the city of the same name in Saxony. The Detlev-Rohwedder-Haus was on the border to West Berlin, and there’s a large piece of the Berlin Wall right across the street from it. 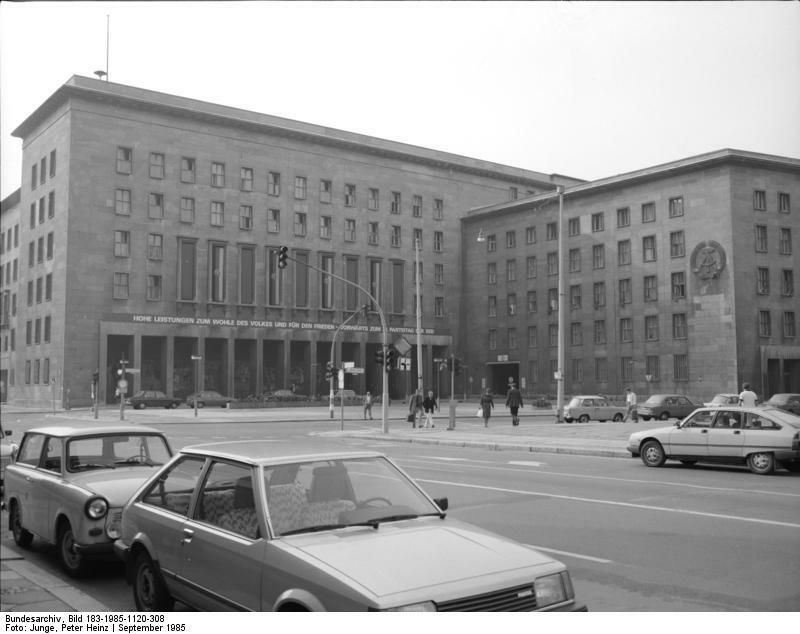 The former headquarters of the Gestapo were located right across the street. Now simply a basement, the area houses the Topographie des Terrors exhibition. An important site during the Cold War. There’s a few watchtowers left from the days of the Berlin Wall. 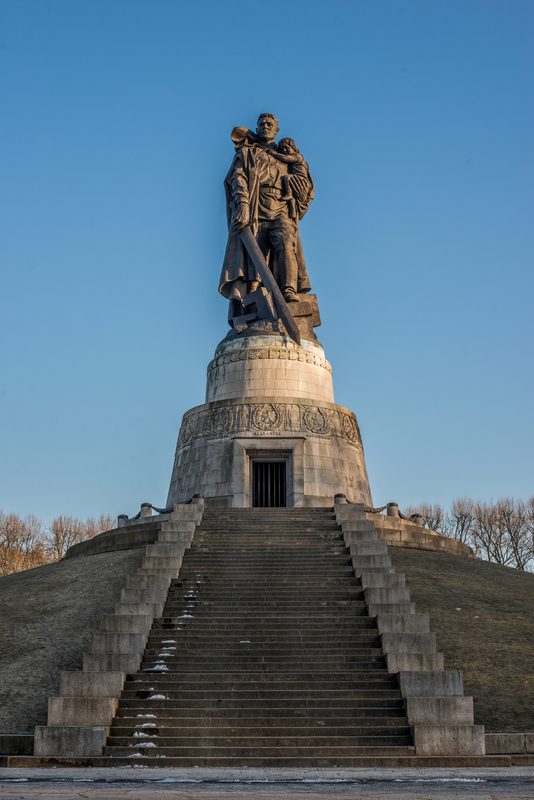 I wrote about the Soviet War Memorial in Treptower Park above. Well, if you visit it, just keep walking past the S-Bahn station on Pushkinallee toward Kreuzberg (West Berlin) and you will see one of them. There’s another one in Berlin-Mitte on Kieler Straße not far from the Invalidenfriedhof. There’s another one close to Potsdamer Platz on Erna-Berger-Straße. The last one is on Bernauer Straße. The Devil’s Mountain. Teufelsberg used to be one of the preferred urbex locations in Berlin until people finally started realizing the money-making potential of the site and started charging entry. Even though the thrill of breaking into the place is now gone, the site is still worth a visit. During the Cold War, the NSA (and not the CIA, as it is often mistakenly thought) operated a listening station here. Due to the location of West Berlin in the middle of the GDR, the city presented the allies with an incredibly good hand for espionage. 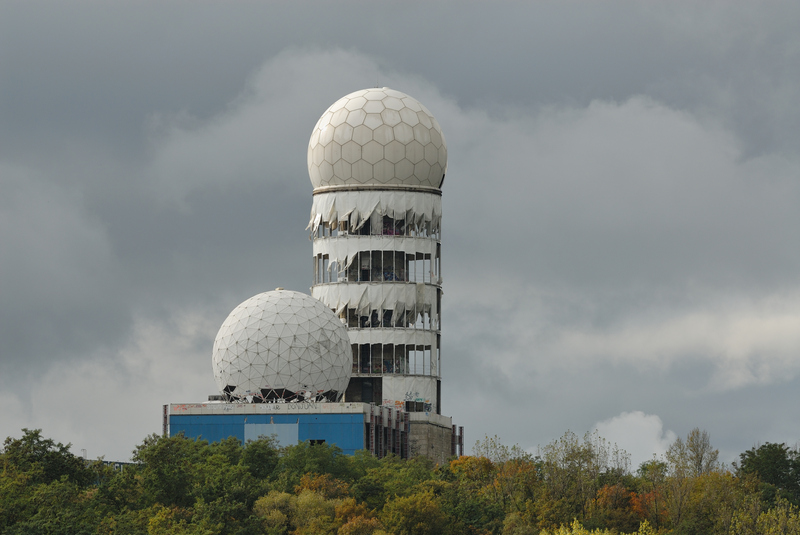 The team at Teufelsberg was able to intercept signals within a 500 kilometer radius from its standpoint. 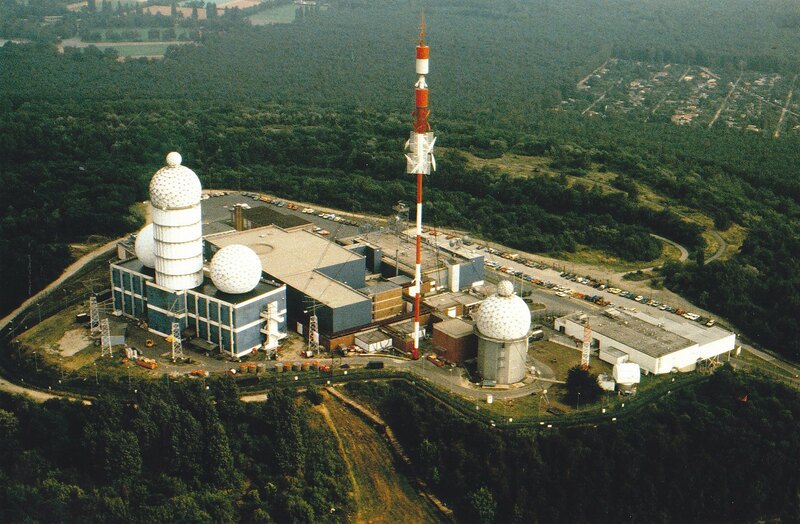 Those white balls on top of the building were used to house the antennas and thus protect them from the elements. You will see the same kind of structure at the Tempelhof airport, by the way. As far as I know you can now get guided tours from former staff members. Cold War era pic of the Teufelsberg. What a better way to end your tour of the city than with a good beer at a very unique bar? Die Tagung is one of the best bars to end your trip in an ostalgic note. This bar is the TGI Friday’s of Socialism. The second you walk in it’ll hit you. Every single piece of decoration here is a historic object. Red banners with Lenin’s portrait, flags of the FDJ (the East German Communist youth movement), and assorted signs and maps adorn the walls of this pub. Grab yourself a pint and enjoy the history and the kitsch at this very unique pub. Cold War, cold beer. Drink a few, head around the corner to Simon-Dach-Straße, and get lost in the Berlin night. I hope you enjoyed this article. Please help Between Distances grow by liking my page on Facebook and following me on Instagram! Hope this guide helps you make the most out of your visit to Berlin. Should you want to know anything else simply leave me a comment or drop me a line! I’m always happy to read from my readers! Nice piece! You mentioned that musicians and artists thrived in West Berlin, so I gues every 80’ies band I’ve ever heard from Berlin was from west. Just wondering if you know, if against all the ods, someone managed to record some good tunes in East Berlin during that time? Thanks a lot! Glad you enjoyed it. There was a scene in East Berlin, however it was a bit more underground than in the West due to state repression. As far as I know, most of the guys from Rammstein all played in local bands in the DDR. Several bands recorded tapes and distributed them within the scene. Punk in the DDR was truly underground and DIY. It must have been really cool to experience that back then! Glad you liked the post, Nick! With you on that one. I would have also liked to see the buildings that are no longer there, such as the Palace of the Republic. On that note, look up pics of the Czech embassy in Berlin. Such a cool building! Very interesting post! Thank you! I’m actually trying to piece together some information from my mom who taught at the AFB in Weisbaden 1958-1961. She left right before August but talks about driving through East Berlin from the Brandenburg gate area. She talks about Stalin Boulevard (which she calls it Stalin Strasser but could be wrong as it seems it was called Stalin Boulevard). She thought it was called Lenin Boulevard before they renamed it Stalin Boulevard but I can’t seem to find that anywhere. Is she mistaken? Btw – I travel to Budapest frequently and I have grown to love Eastern Europe. It’s all such interesting history! Thanks again for such historical info! 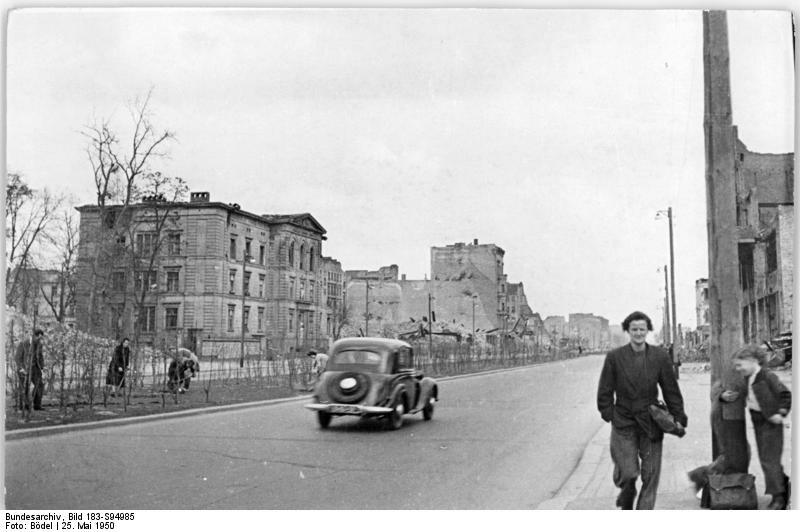 Yep, the street was also called Stalinallee back then (Allee=Boulevard). However, I don’t think it was ever called Lenin Blvd. I love Budapest! I was just there right before Xmas, but it had been over eight years since my last visit. I fell in love with the city all over again and am planning to go back this summer! Lenin Blv. or Leninallee existed, it started in Leninplatz (Lenin Square, nowadays Platz der Vereinten Nationen – UN Square), so actually it was quite close to Stalin Blv. Sebastián, muy interesante tu post. en unos días iré a Berlín y tenía pensado hacer algo de turismo arqueológico de lugares de interés relacionados con la antígua DDR y justo esta lista me sirve de roadmap.